When your data center experiences a storage failure, no matter what device or devices have failed, you need the information on them recovered as soon as possible. Dave’s Computers provides top-of-the-line RAID data recovery services for New Jersey and the surrounding areas. Our 95 to 98 percent success rate provides you with the peace of mind that we can successfully recover your data and repair your RAID system. You won’t find a better RAID data recovery success rate anywhere else in the region. Dave’s Computers employs a team of highly skilled and experienced technicians which specialize in RAID recovery and repair. Our technicians have many years of experience with a broad range of RAID configurations. We make each Raid Data Recovery NJ projects high priority and serve many clients that consider our team to be a valuable resource for data recovery. Using the latest technologies, our technicians have the tools they need to successfully repair damaged hard drives, recover corrupt files, and restore striped sets of data to a fully functional state. Our team of skilled technicians specialize in repairing multiple hard drive failures, recovering files which have been inadvertently deleted, and other data loss situations which commonly occur on different types of mirrored devices. Our highly trained technicians have many years of hand-on experience working with data recovery on RAID 5 and have a high success rate recovering data from hundreds of arrays each year. We also have extensive experience with all types of servers and storage systems associated with RAID 5 technology. 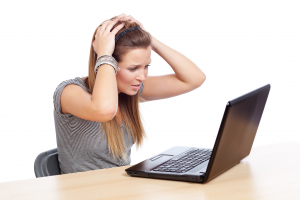 The technicians at Dave’s Computers have helped many clients recover RAID 6 data following a failed redesign project or other factor which caused data loss. Our technicians work with advanced tools to quickly restore your RAID 6 system to a functional state. Regardless of the operating system you use or the type of file system you have implemented, our technicians are readily available with the latest technologies to help you with RAID 10 issues. We also are capable of performing data recovery on RAID 10 services and Network Attached Storage (NAS) devices. Our experienced technicians have a high success rate for repairing RAID 50 arrays which have become damaged. We use the latest technologies and advanced tools for successfully restoring nested RAID systems. When data loss occurs within your RAID 0+1 array, our technicians have a track record of providing fast results and reliable turnaround times regardless of the cause of the failure. Our technicians understand the importance of minimizing downtime to maintain business continuity and productivity. We can completely restore and repair your RAID system while performing fast and efficient data recovery services. Our highly specialized technicians have a high success rate for performing SAN data recovery and retrieving data from SAN devices. Our SAN data recovery services include virtual SANs, SAN-NAS hybrids and all SAN RAIDs. The technicians at Dave’s Computers have extensive hands-on experience in NAS RAID data recovery. We have many years of experience with high success rates for NAS appliances from manufacturers such as Intel, Synology, TEAC, Apple, Buffalo, and D-Link. Whether you have an IT professional or not monitoring your RAID setup, damaged, corrupted, overwritten, or lost files can be problematic. Contact Dave’s Computers right away so that our experts can work on retrieving what was lost so that you can get back to full operations as soon as possible.